Cane Creek chose to show the internals of their fork first and foremost since that is what they are most proud of. Cane Creek HELM is a significant introduction with seven independent adjustments, robust construction, and a ride quality Cane Creek plush. 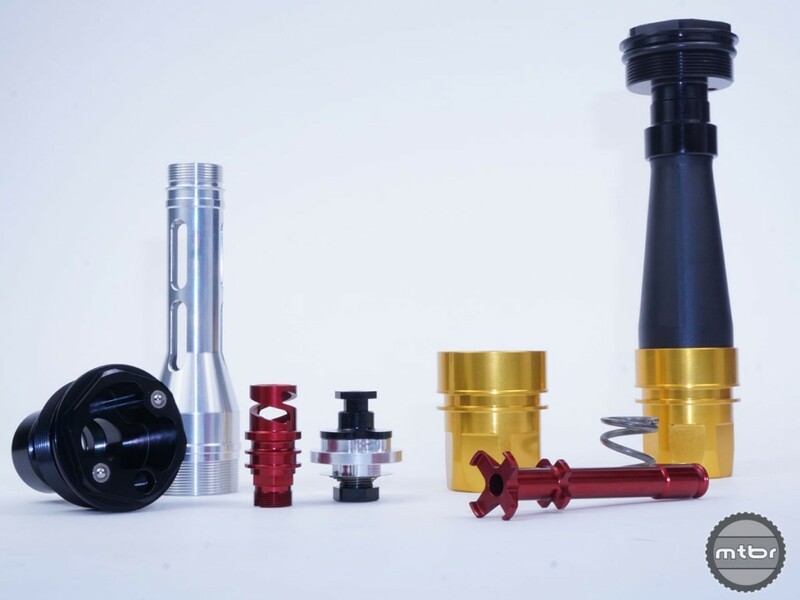 Cane Creek’s engineers worked hard to give riders the option to tune and setup their HELM for their riding style and local trail conditions. Price is expensive at $1100 so this will cater to the audience that can take advantage of all the tunability of the Helm since there’s no lower priced options at the moment. Set and forget riders might be better off elsewhere but riders who want to experiment with travel options and damping nuances have a good option here. The key to all this is reliability. Cane Creek had some reliability miscues in the past couple years but they’ve overhauled management and processes to address the issues. The next few months will give us feedback on how they’re doing on reliability issues as these forks have been hitting customer hands already. A black and a limited edition blue color are available in the release of the Helm fork. Travel adjustments: 10mm Increments (from 170mm down to 100mm) 2 travel spacers are included with every Helm, one additional spacer is installed from the factory. 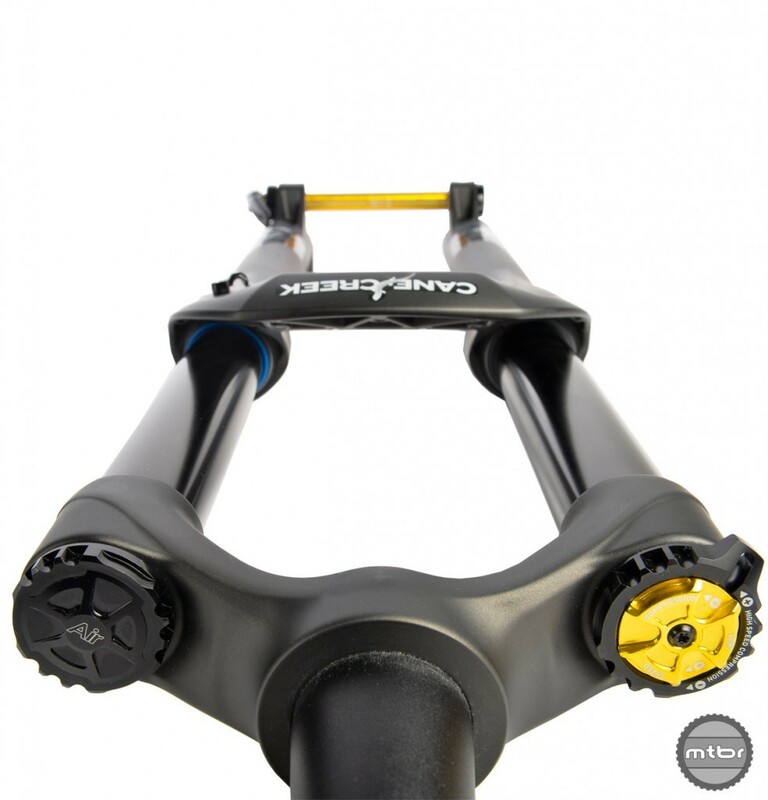 Cane Creek would rather show the internals of their fork first and foremost since that is what they are most proud of.